Start the day off with a good breakfast gives you the right energy to face the challenges that await you. Treat this time as if it truly were important. You can enrich your table with original objects that grace your breakfast presence. 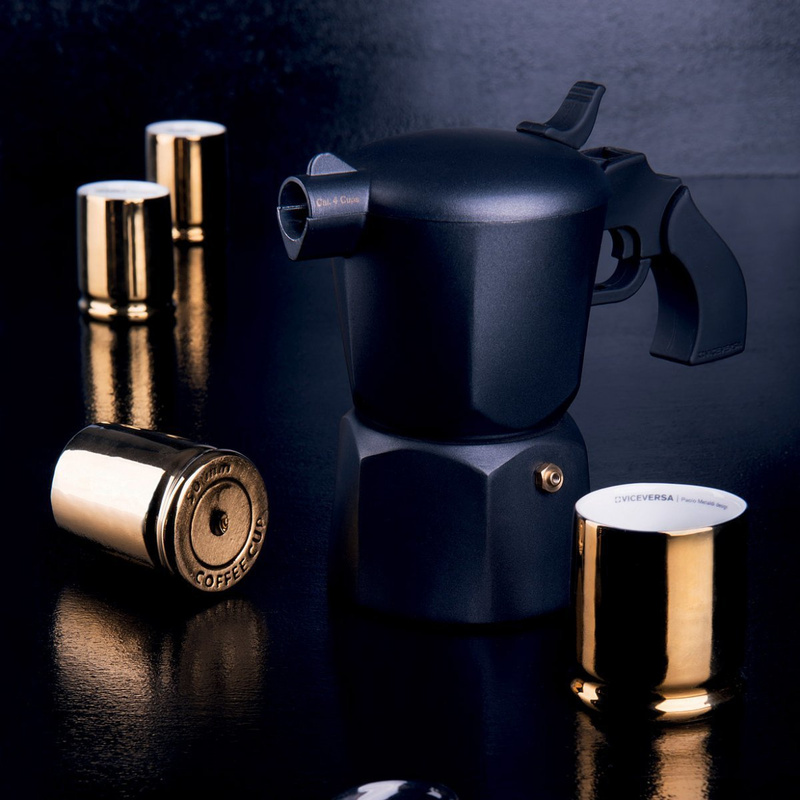 Your kitchen will be everything you’ve imagined and more at the hands of Viceversa, a historical Italian company that focuses on modern designer pieces in the home. Design for modern living is the name of the game. Among the various objects rich in imagination are the 6 Coffee Shots cups. They are produced in metallic porcelain. 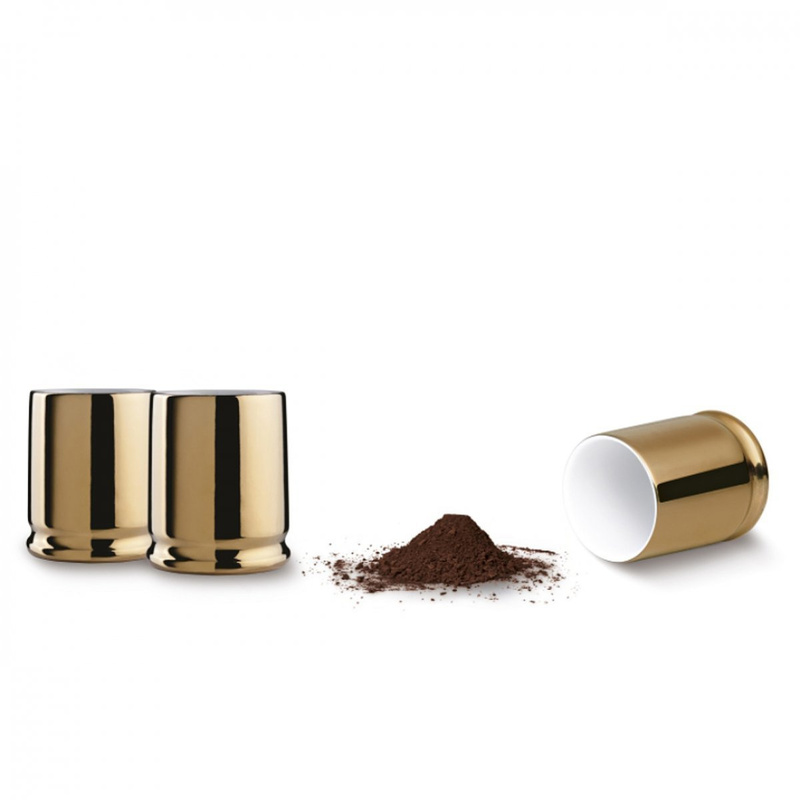 Made with a golden colour, these beautiful cups are characterized by a truly unique and exclusive design. 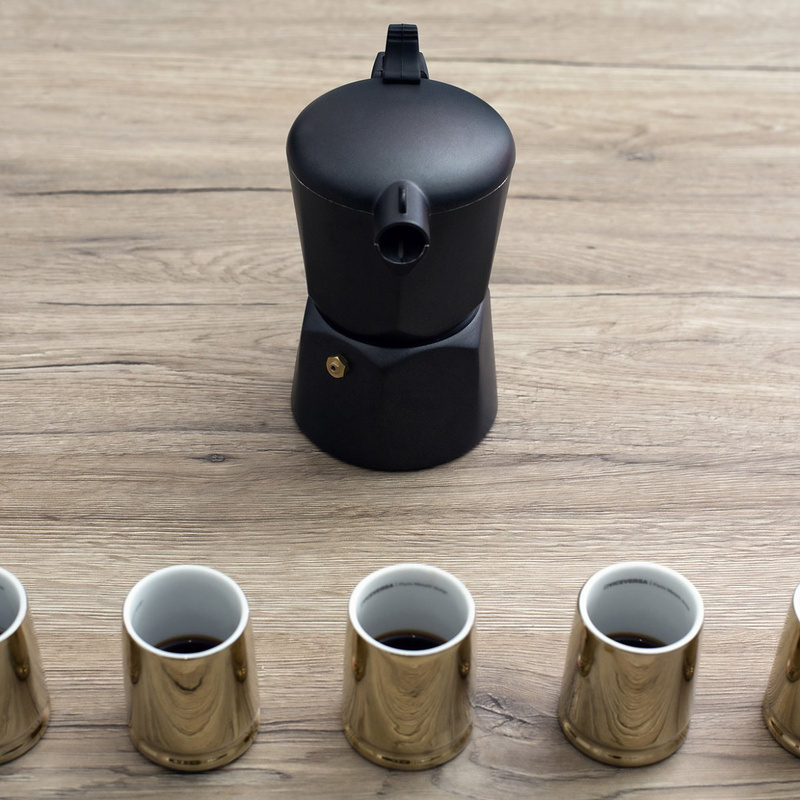 Instead of having the style of classic coffee mugs, they’re cylindrical with a reflective gold surface. 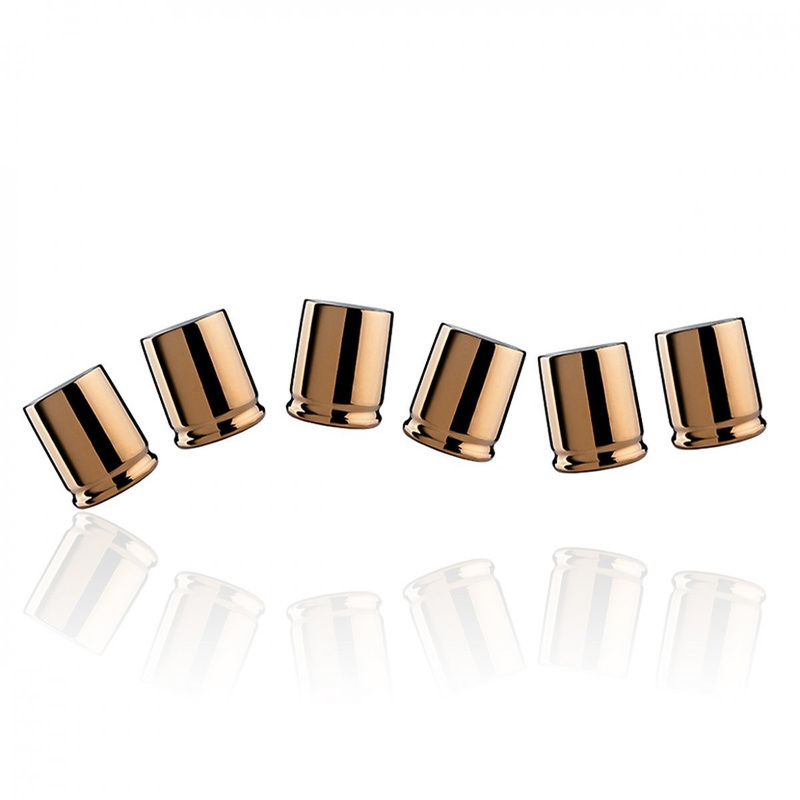 Another feature, which emphasizes the creativity of this set, is given by the pieces’ bullet shape with the engraving of name and size. By virtue of their particular appearance, these cups will actually add an original touch to your kitchen. To sum it up perfectly, it’s a set with a contemporary vibe that can be perfectly adapted to any kitchen, classic or modern. They are great for a family breakfast but also for serving coffee to friends and family. Displaying them in the living room, perhaps inside a glass cabinet, will certainly make for an eye-catching window feature. But it doesn’t stop at home. This beautiful set is perfectly suited to public areas such as at B&Bs and pubs. 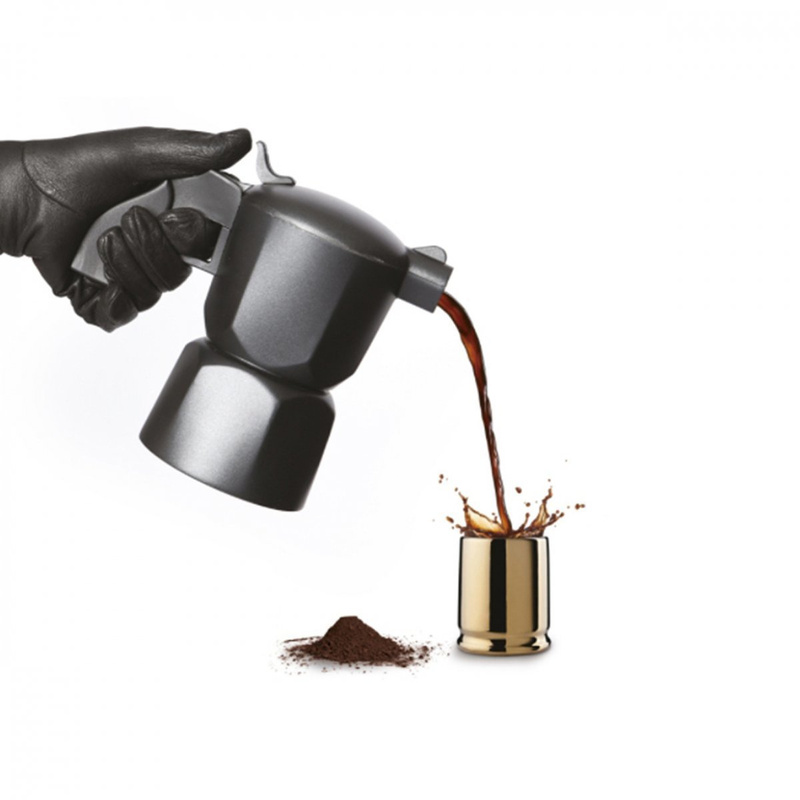 With these cups, you’ll be able to convey the idea of a creative and modern atmosphere. The manufacturer reminds you that these cups are not microwave safe and recommends hand washing. 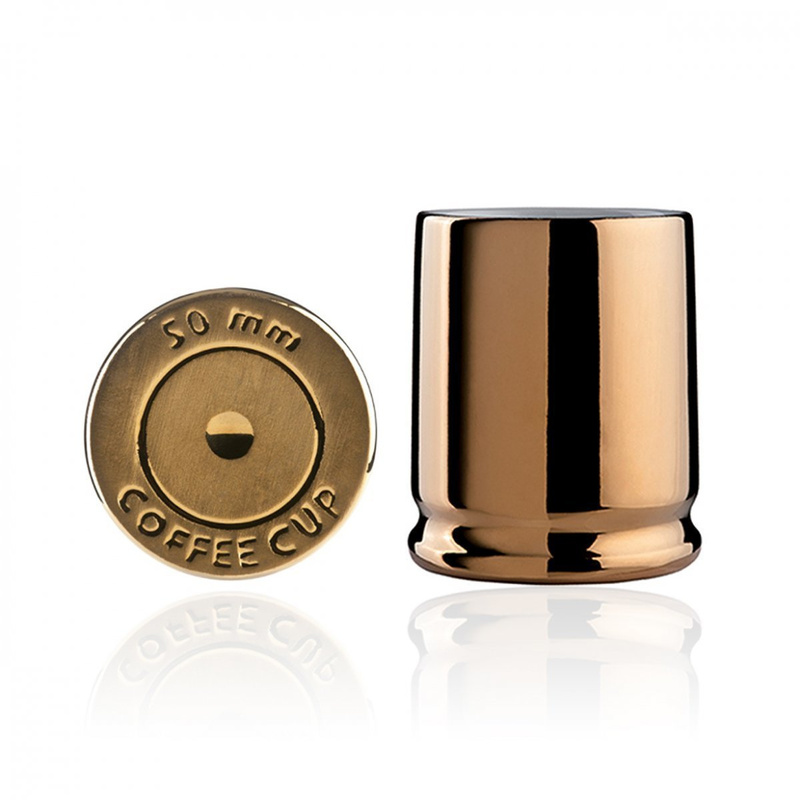 The set of 6 Coffee Shots cups also comes in a lovely gift box, meaning it’s also the perfect gift for your loved ones. This fantastic set will enhance any environment where you decide to use it.